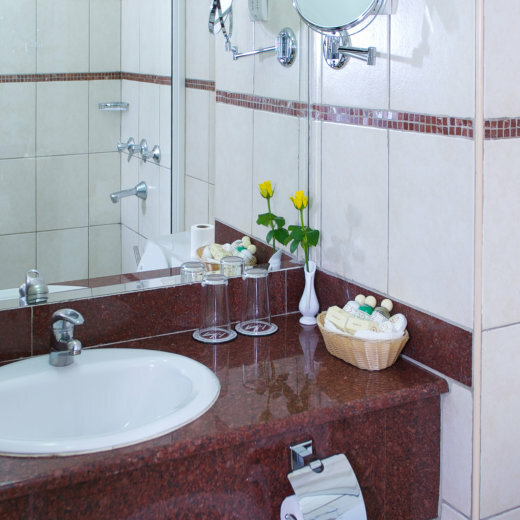 Deluxe Suites are designed to meet your every need. They offer all the key features of utmost comfort and luxury with an open plan lounge ideal for informal meetings or pure relaxation. 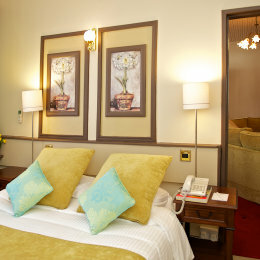 Each has a 4 poster bed with luxury furnishings and fabrics, dinning area and a beautifully designed bathroom with a Jacuzzi. We are a luxury 3 star hotel, superbly located in the picturesque neighborhood of Hurlingham at Argwings Kodhek and valley road roundabout opposite Nairobi Hospital.. It is 3 km from the City centre, 17 km from JKIA and 3 km from Wilson Airport and adjacent to Department of Defence Headquarters and Daystar University which proves ideal for delegates, Business proffessionals and Tourists. 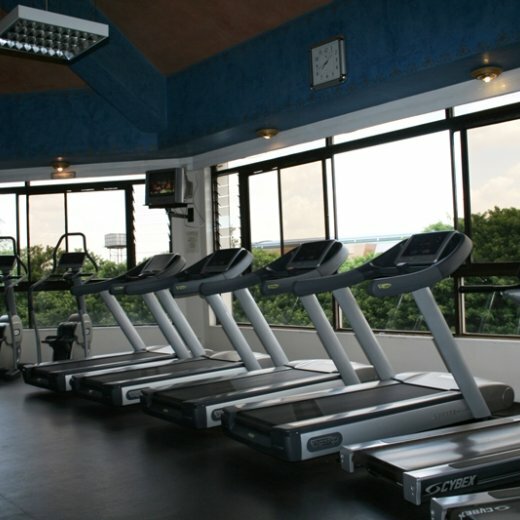 It has a total of 160 rooms of different categories and offers a wide variety of services including conferences, excursions and an ultramodern Gym. 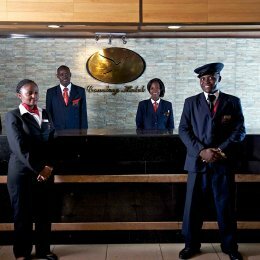 We pride in our staff whose service will exceed your expectation and we provide the best security to all our guests. Hotel guests touring Nairobi City in the Sun can stop into our national museums to learn about history and colourful past, visit Nairobi National Park to view game in the only park within the city or visit the Animal Orphanage or snake park which can be arranged on request. Very Strict: 50% refund up until 60 days prior to check-in, except fees. b) Cancellations made 60 or more full days prior to local check-in time, guests will be charged 50% of total booking value.